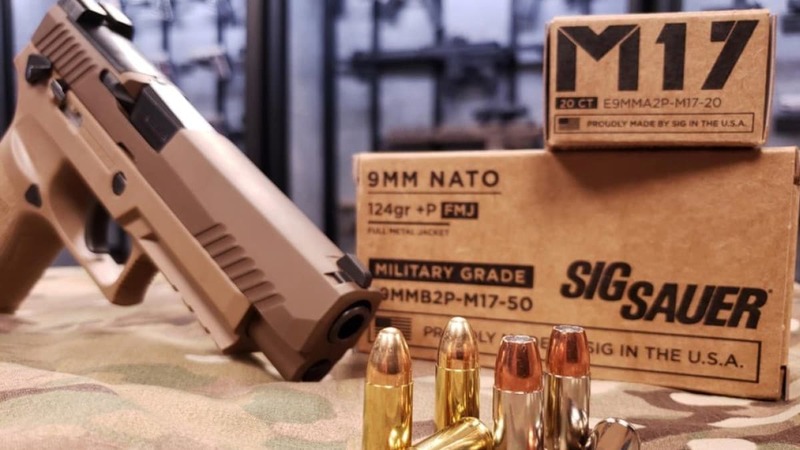 On Thursday, Sig introduced two new offerings to their house-branded ammunition line, both in high-performance M17 9mm +P ammunition. 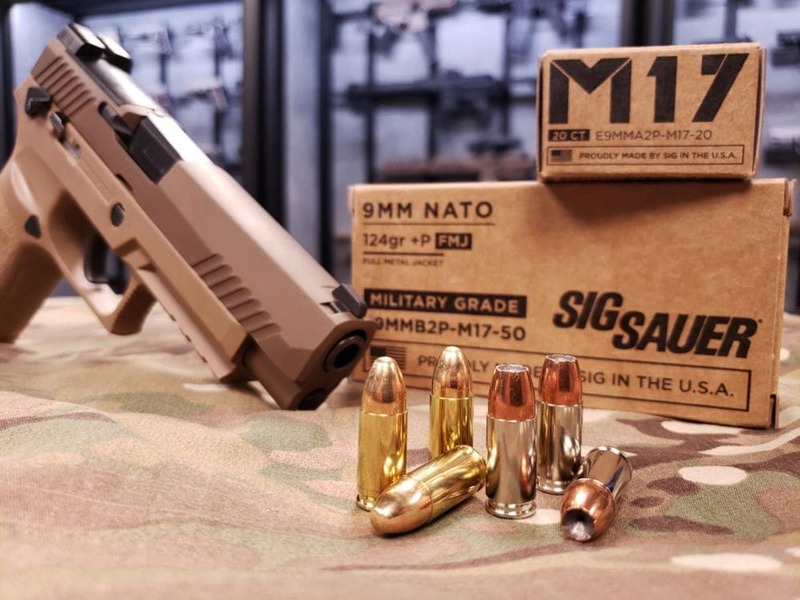 As the maker of the U.S. military’s new sidearm, the M17, Sig bills the two new 124-grain loadings — one a jacketed hollow-point and the other a full-metal-jacket — as “military-grade ammunition” and the rounds are ballistically-matched, to allow the separate training and carry rounds to complement each other. The loads use copper jacketed bullets and clock a muzzle velocity of 1,198 feet-per-second, delivering 395 foot-pounds of energy at the muzzle. 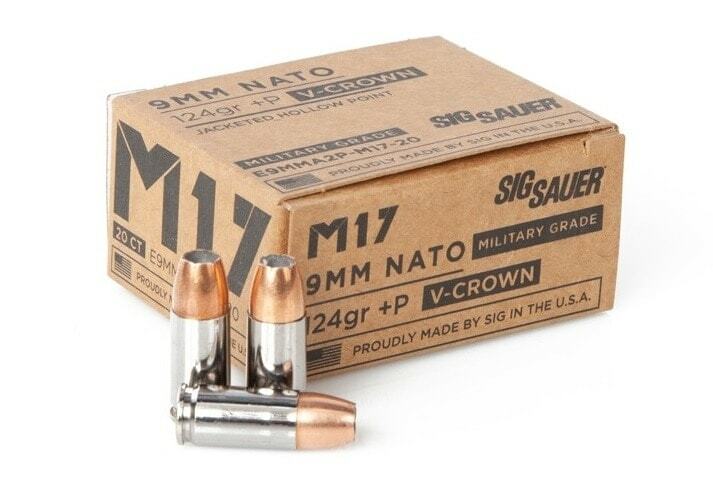 The M17 124-grain 9mm +P JHP is in Sig’s V-Crown family of cartridges. They have an MSRP of $20.95 per 20-round box. 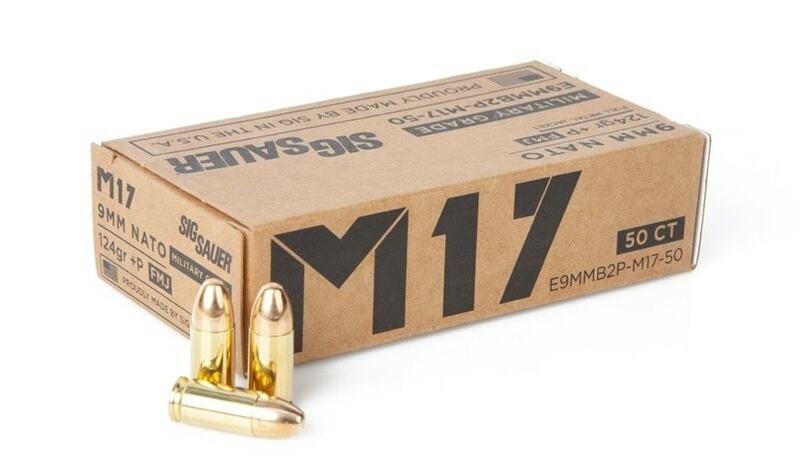 The M17 124gr 9mm +P FMJ is $18.95 per 50-round box.